The results of last night`s rearranged games could well have a substantial effect on the ultimate destiny of the men`s and women`s National League 1 titles. Second placed Western Wildcats were held to a high scoring 4-4 draw by relegation play-off candidates Kelburne at Glasgow Green. The result leaves the Western Wildcats five points adrift of Grange who now have a game in hand, and there are only two scheduled matches to come. In fact, Western Wildcats` tenure of second place is now under scrutiny, they lead Grove Menzieshill by two points and the Taysiders also have a game in hand. The Auchenhowie-based side seemed to get going along nicely with a two goal interval lead, Rob Harwood and Fraser Calder were the providers. A penalty corner conversion by Chris Nelson followed up by second half hat-trick by Jack McKenzie almost knocked the stuffing out of Western Wildcats. But replies from Hamish Galt with a deflection at a set piece and Fraser Moran ensured a share of the points in the end. The women`s catch-up fixture on Tayside saw visitors Clydesdale Western take the points with a 4-1 victory over Grove Menzieshill. 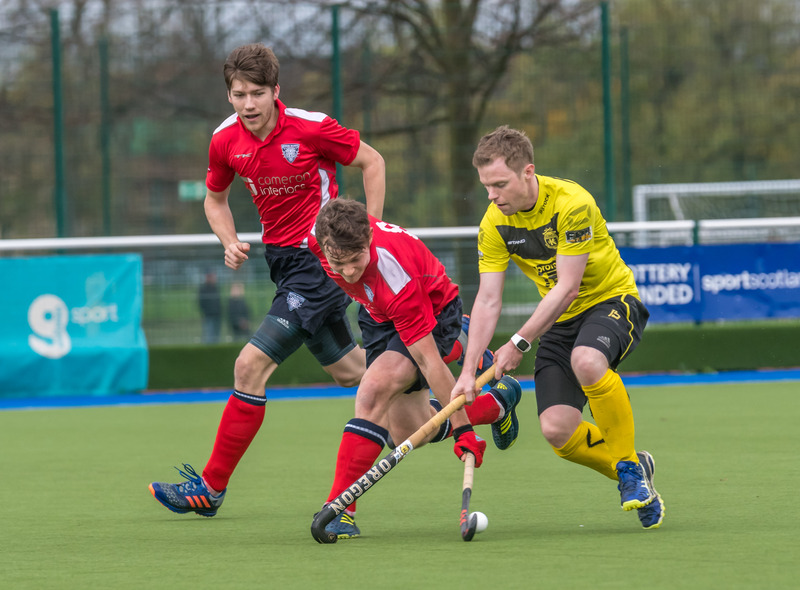 Western moved up into second spot, on goal difference above Western Wildcats, and within two points of leaders Edinburgh University with two games left for all sides. The first half finished even; Fran Lonergan opened for the Titwood side with Katie Robertson replying for the home side. But Western were the stronger outfit in the second half and marched ahead through strikes by Millie Steiger, Lexi Sabatelli and finally Heather Howie.